My first exposure to mead was in Ireland in the early 1990s. Bunratty Castle in County Clare, to be exact. Attending a medieval banquet, we were greeted with goblets of mead as we entered the Great Hall. I was immediately hooked on this potent, slightly sweet honey wine. Believed to enhance fertility and virility, mead is a traditional Irish wedding drink. In fact, the term “honeymoon” arises from a long-ago custom for newlyweds to drink mead for one full moon after their wedding to secure a fruitful marriage. Many believe that this beverage made from fermented honey was likely stumbled upon by accident, perhaps as a bee’s nest in a hollow filled up with rainwater, and the honey and water then became fermented by airborne wild yeast. Most agree that mead is actually the world’s first alcoholic beverage as its history is documented to date back thousands of years. Mentions of mead can be found in Egyptian manuscripts, Greek mythology, Nordic poems, and Celtic legend, and ancient mead-making methods are described across Europe, Africa, and Asia. Meads can vary from bone-dry to cloyingly sweet, so if your only experience has been the latter, now is the time to expand your mead horizons. Last year my friend Rhonni gifted me a bottle from an Arizona meadery thinking it would be something I would like. She surely knows me well as she had no idea that I was a fan of mead, and I had no idea that mead was being produced locally. She and her husband had been wine tasting at The Wine Cellar (now closed) in Old Town Cottonwood. They were intrigued by the selection of meads, tried four of them, and were duly impressed. That bottle she bought me was “Lagrimas de Oro” from Prescott's Superstition Meadery. Jeff Herbert of Superstition Meadery started making meads with a homebrew kit. His creations were so well received by friends and family that he and his wife Jennifer opened Superstition Meadery in 2012 to sell their mead. They now produce over 16 different meads, in addition to cider, and have won multiple awards and trophies, including gold and silver medals at the prestigious Mazer Cup, the world's largest mead competition. Currently, their Berry White is number one - best mead in the world - on RateBeer. Recently, Superstition's Safeword mead was a pairing offered at a Pink Pony media dinner, and I decided it was high time I explore more of these Arizona-produced elixirs. Pink Pony, with Executive Chef Stephen Eldridge at the helm, features four of these Arizona meads, which can be bought by the glass for $11 or as a flight of 4 for $40. We sat down with Albert Torrisi, general manager, as he described the meads he was pouring. "These are all made with Arizona honey and are really small batch; they produce only 200-300 bottles for each one”, he says as he draws our attention to the labels marked with batch and bottle numbers. He tells us that this lovely mead being produced in our backyard has a huge following in the US and abroad in countries such as Belgium, Germany and Denmark as we begin with Lagrimas de Oro (Tears of Gold), a 2013 gold medal Mazer Cup winner. Albert comments, "to me it smells like a pinot gris, it's so light and so fruity. I like it with a squeeze of lime; it really adds a whole new balance" and we agree as we sip on this lightly sweet, traditional dry mead made with mesquite honey. As he pours Tahitian Honeymoon, he explains the name as a combination of its fermentation with Tahitian vanilla beans and a nod to the origins of the word honeymoon, with the floral vanilla notes coming through both in the nose and on the palate. Next is Maple Stinger fermented with grade A maple syrup, which turns out to be my favorite. "You're going to notice that it has a real sweet honey and maple scent", we are told as we savor this mead with its caramel notes and slight oak from the bourbon barrel aging. Last in the flight is Safeword, a rich brown mead. "The Belgian candi syrup gives it its darker color and a depth of flavor" relates Albert. I can see how the honey, sweet bourbon, and brown sugar flavors make it an excellent dessert pairing and one of Pink Pony's best sellers. "All of these are phenomenal and have so much versatility" he enthuses, and mentions that Pink Pony is working on new mead cocktails to add to the drink menu. "One of my favorite things to do with the Maple Stinger is to make a mint julep with it. As opposed to using whiskey, I use this mead and it’s absolutely ridiculous." I can't wait to try it. 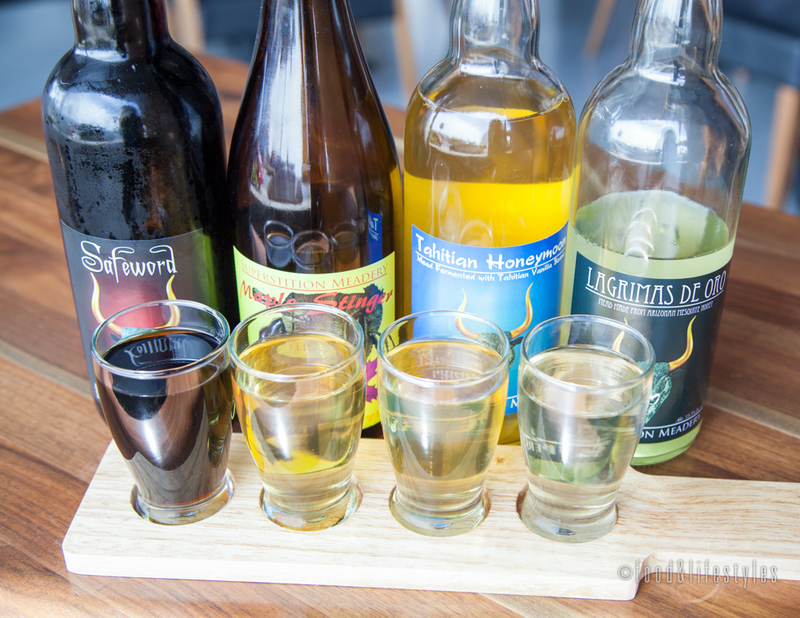 To round out our mead afternoon at Pink Pony, we finish with a different style of mead. This one is out of Oregon and produced by Rogue Ale: Their Rogue Farms 19 Original Colonies Mead. A personal favorite of Shawn Gabor, bartender (and People's Choice Winner at the 2015 Devoured Phoenix Bartending Competition), this light and crisp mead's honey sweetness is lightened by its carbonation. Shawn points us to the list of ingredients which include hopyard honey and jasmine green tea leaves. Albert notes how this mead is also local to that terroir, "They have their own honeybees, they have their own hop farms, they grow all their own ingredients. 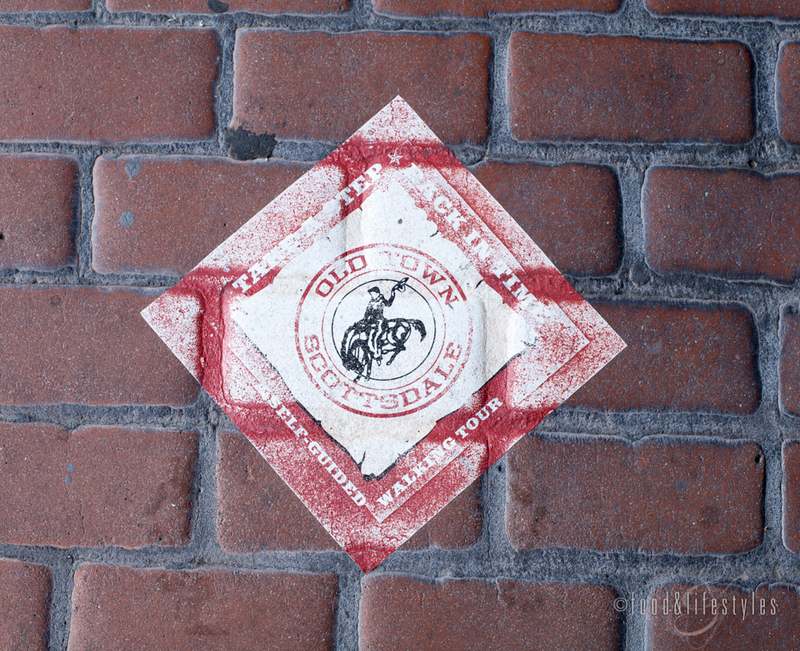 Rogue is a great company when you look toward sustainability." Currently available in bottles, Pink Pony has arranged to have 3 allocated barrels and will have the distinction of being one of the very few spots in the country to have this mead on tap. I'm happy to see that mead, which predates both beer and wine, has been experiencing a quiet renaissance. "It's a niche market and I definitely think mead is the next big thing", says Albert. I agree that it's time for mead to receive the appreciation here in Arizona that it garners in the rest of the world. Curious about this delicious fermented honey wine? 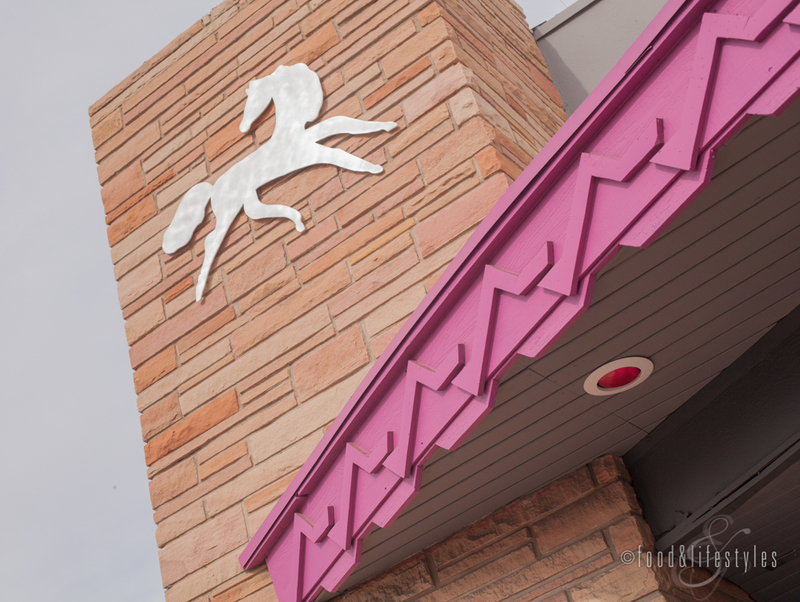 Plan a visit to Pink Pony and order up a flight of Superstition mead or pop open a bottle of Rogue Farms to taste a beverage rich in history.